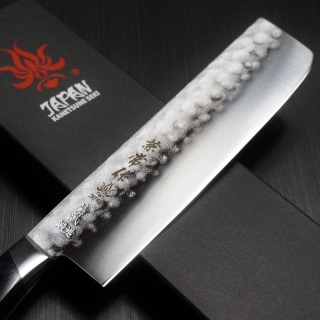 Fastly becoming one of our most poplular types of knives and now widely recognised around the UK. 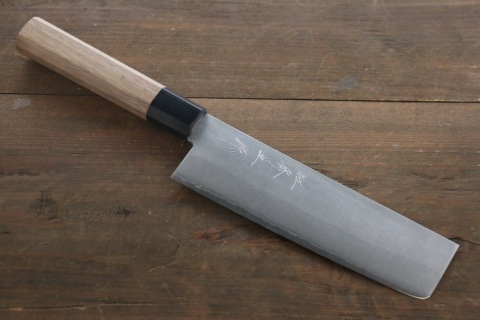 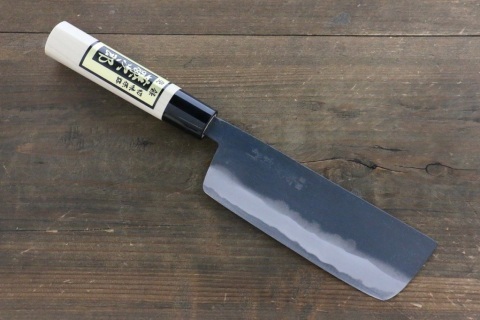 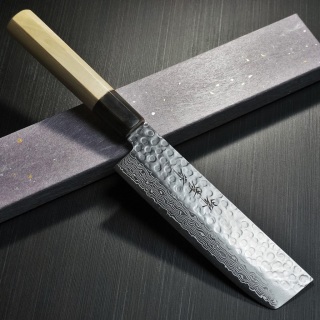 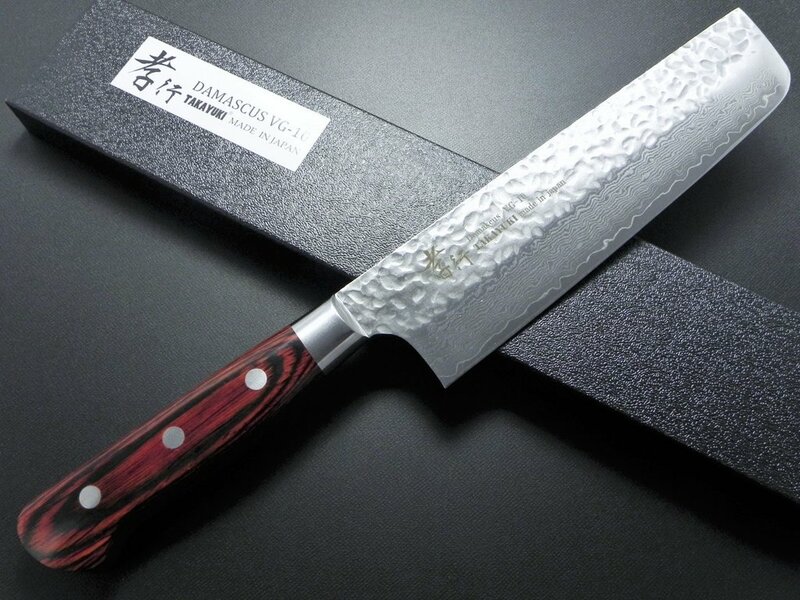 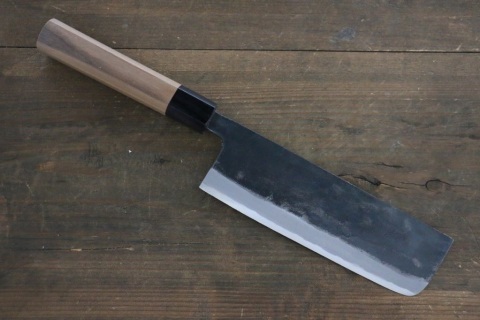 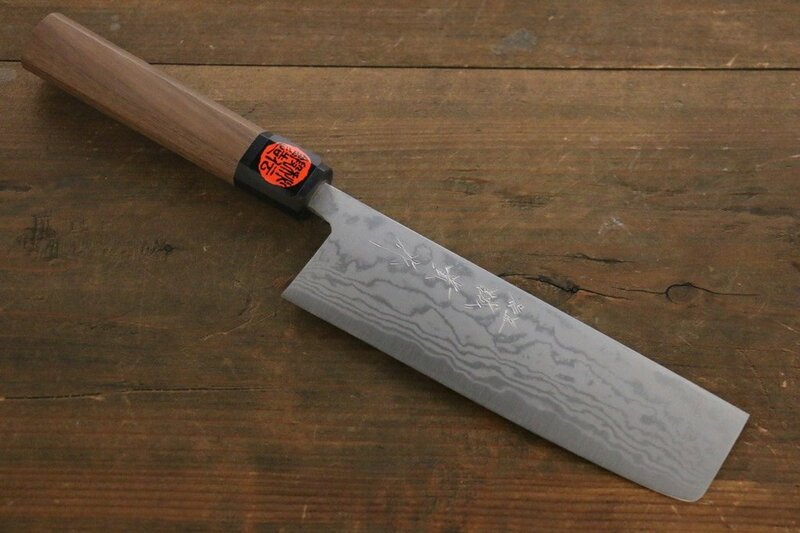 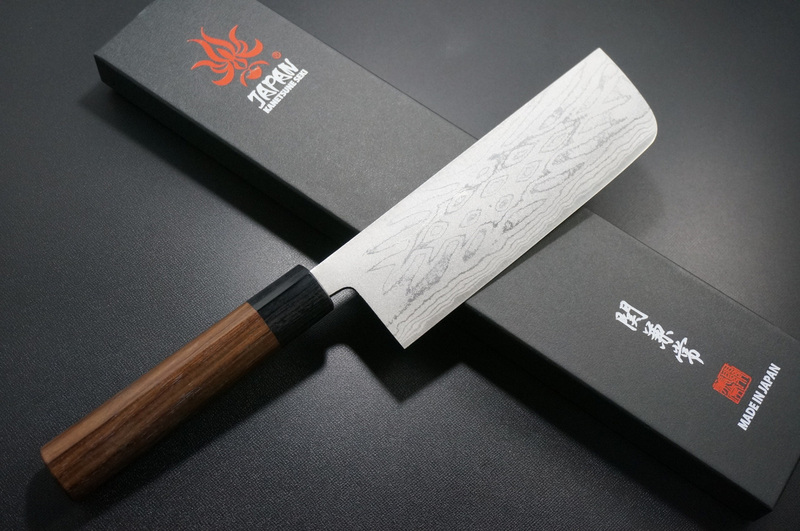 The Nakiri is specifically built to chop vegetables and herbs etc. 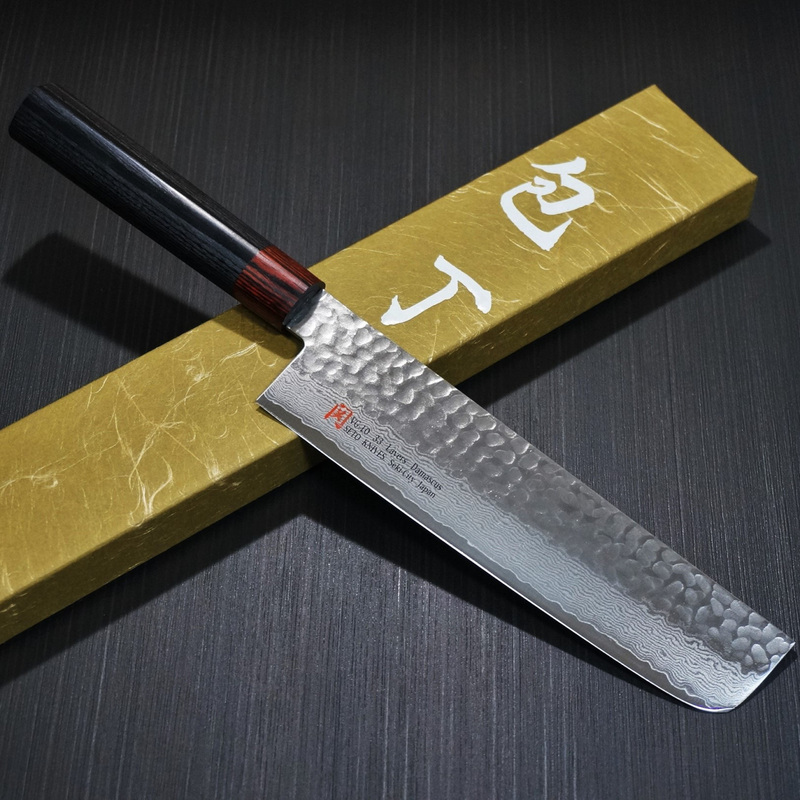 This blade has a Matte (Nashiji) hammered (Tsuchime) finish is beautiful, combining the hardness of a carbon steel core and clad in softer stainless steel.